Wasp Control Redhouse » Tel: 0828105617 » Port Elizabeth The Port Elizabeth Pest Control Experts! 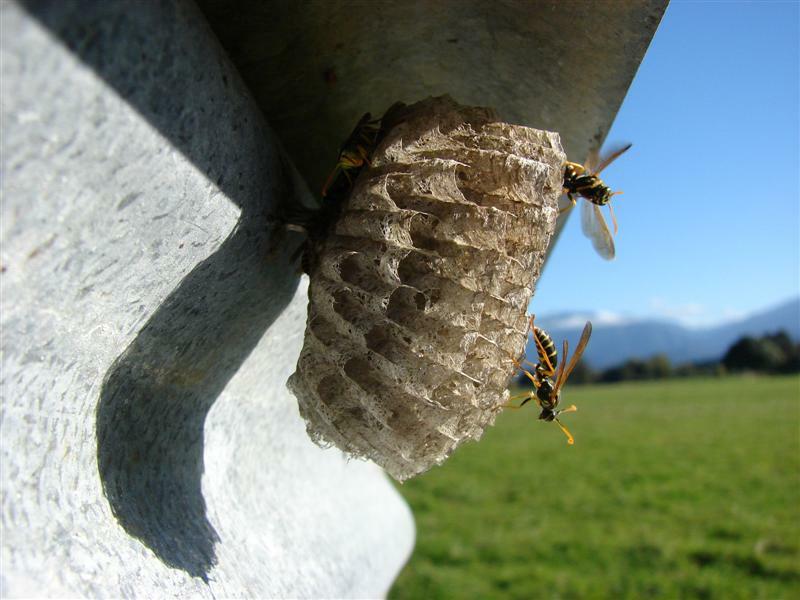 Here in Redhouse paper wasps can be a nuisance in warm weather or heavy winds. This aggravates them causing them to sting any unsuspecting passer by. Redhouse Pest Control can control your wasps with a single call, we will treat them in Redhouse regardless of the weather and ensure they do not return in the future. Adults range from 1.8cm -2.5cm in length. They nest under eves of roofs and in trees in sheltered areas. These wasps are found in all areas of Redhouse and can deliver multiple stings that are very painful and can cause allergic reactions. For all your Redhouse wasp control treatments call Redhouse Pest Control, all our staff are ready to take your calls 24 hours a day.